The first essential question: The car. Time has come to put theoretic plans into practice, and let the project be realized - although it’s still shaping, thanks to much experienced travelers than me, and to professionals in diverse specialties. The first step is the car, which I must get soon, so that I will have time to get it prepared, study its service, get its papers ready, and make short test-drives with it. 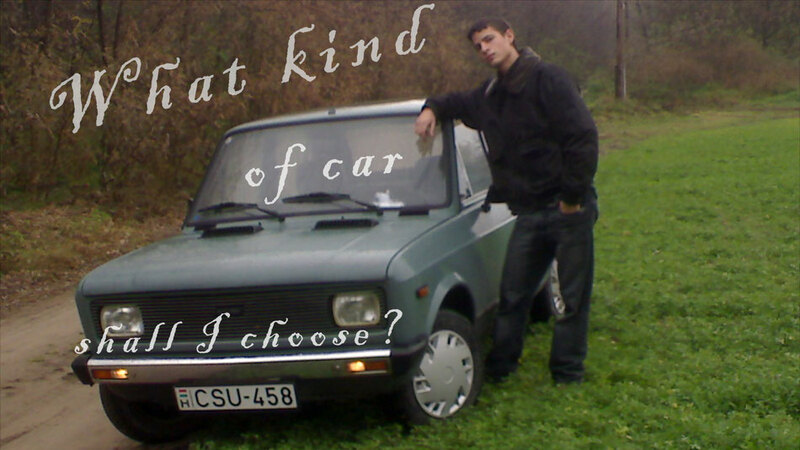 In the picture above you can see my 19-year-old self with one of my favorite cars, with a Zastava 55 GTL. Though this Yugoslavian industrial miracle still has my heart, for this trip the chosen vehicle has to meet certain requirements, which exclude Zastava from options. Well, at first, I thought about a Maruti 800dx – though it’s sure, that there’s no ‘low-coster’ car, but if I was the fellow to travel on business class, I wouldn’t plan a trip like this. 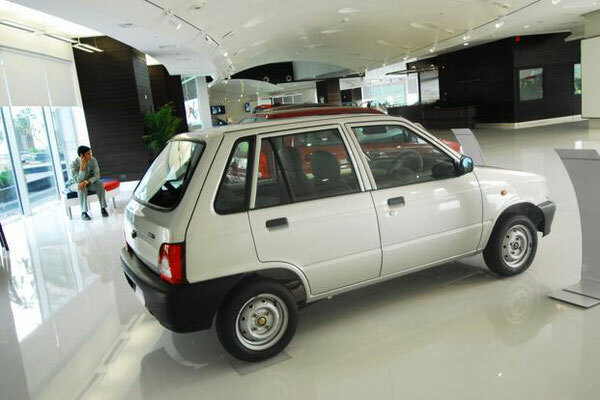 The editor of Totalcar talked me out of it, and put a bee in my bonnet about the old 1-liter Swift, ‘cause this one meets my requirements, more or less, and it rather deserves the ‘car’ title, than the Maruti. Of course you can’t get this saloon-Maruti in Europe anymore. The Indian production stopped in 2014, but here, there are usually at least 20-year-old rusty crocks. The pieces in good condition are getting more and more expensive. Swift is not more modern technically, but it’s more widespread, and convincing – how could you not believe a young, happy German couple like that? It's appropriate time to make a few plans for the long run and it's time to be happy. I have learn this put up and if I could I desire to recommend you some attention-grabbing issues or advice. Perhaps you can write subsequent articles regarding this article. I desire to learn more issues about it! Hi there very cool blog!! Man .. Excellent .. Superb .. I will bookmark your web site and take the feeds additionally? I am glad to find so many useful info here within the put up, we want work out extra techniques on this regard, thank you for sharing. . . . . . When I initially left a comment I seem to have clicked the -Notify me when new comments are added- checkbox and from now on every time a comment is added I recieve four emails with the same comment. Is there a means you can remove me from that service? Thanks a lot! Appreciation to my father who informed me on the topic of this webpage, this weblog is truly amazing. Hello, yeah this post is in fact good and I have learned lot of things from it about blogging. thanks. Thanks for any other informative site. The place else may just I am getting that kind of information written in such an ideal manner? I have a challenge that I'm simply now operating on, and I've been at the look out for such information. Fantastic blog! Do you have any recommendations for aspiring writers? I'm hoping to start my own blog soon but I'm a little lost on everything. Would you recommend starting with a free platform like Wordpress or go for a paid option? There are so many options out there that I'm completely confused .. Any ideas? Thanks a lot! Have you ever considered publishing an ebook or guest authoring on other websites? I have a blog centered on the same ideas you discuss and would really like to have you share some stories/information. I know my subscribers would enjoy your work. If you're even remotely interested, feel free to shoot me an e mail.  If some one wants expert view on the topic of blogging and site-building then i advise him/her to pay a visit this blog, Keep up the good job. Hi there, I found your site by way of Google even as searching for a comparable topic, your website got here up, it appears to be like great. I have bookmarked it in my google bookmarks. Hello there, just was aware of your weblog thru Google, and found that it is truly informative. I am gonna be careful for brussels. I'll appreciate should you continue this in future. Lots of folks might be benefited from your writing. Cheers!